Nestled in the cradle of the Golden Triangle, Chiang Mai, the former capital of the ancient kingdom of Lanna, sits on some of the highest mountain ranges in Thailand. This dense jungle kingdom at the crossroads of historical trade routes built its cuisine on the bedrock of traditional Thai elements whilst adopting various ingredients and techniques from neighbouring Myanmar, China and Laos. The result is a cornucopia of exotic flavours. Colourful traditional Thai elements from the hill tribes interweave with modern aesthetics to spin the rich tapestry of a new Thai identity. Join us as we zip around in a GrabCar, visiting traditional Thai eateries and trendy coffee shops, to discover the old and new of today’s Chiang Mai. If you want to try northern Thailand’s iconic curry noodles – khao soi – look no further than Baan Huen Phen. 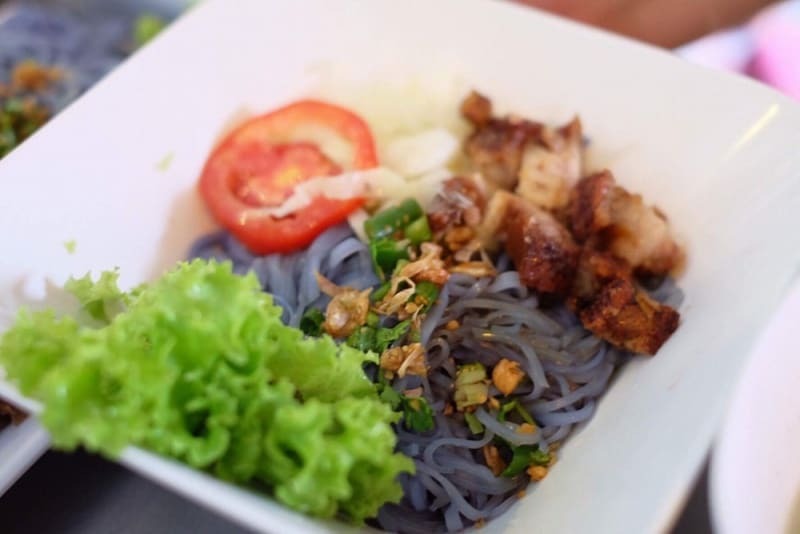 Renowned for serving up one of the most authentic bowls of noodles, Baan Huen Phen offers several different proteins, ranging from chicken to pork and beef, to go alongside the rich, coconut-based yellow curry heaped with a delicious combination of both soft and crisp noodles. Also not to be missed are the crispy grilled chicken (gai yang), herb-infused fish steamed in banana leaves and spicy Chiang Mai sausage. 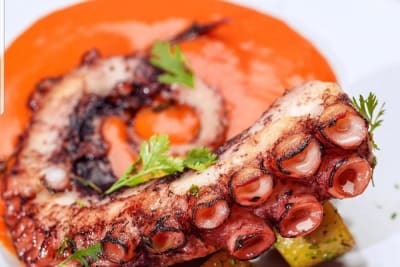 The restaurant serves up simple, no-frills, canteen-style cooking during the day and a fancier menu at night in a separate dining area filled with greenery and antiques. The aesthetics behind The House by Ginger can be summed up in one word: eccentricity. 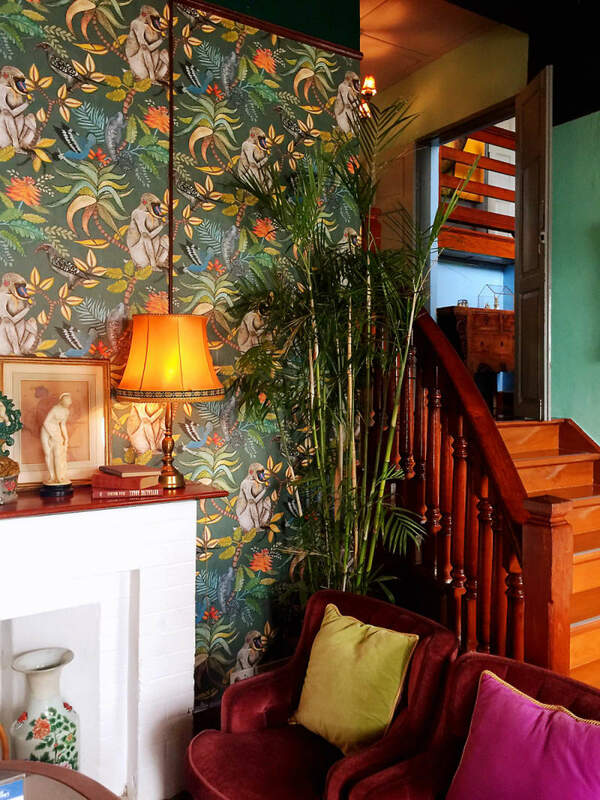 Floral wallpaper set against plush seating, tropical greenery and eclectic antiques give the impression of the home of an eccentric British aristocrat overcome with interior-design madness. Classic English delectables such as scones can be found here, served alongside glasses of creamy Thai iced milk tea, and the run-of-the-mill chicken sandwich gets a little saucy with a satay twist. Now with three locations, from the original House and Ginger & Kafe to the new Ginger Farm Kitchen, Ginger has become a lifestyle empire, complete with its colourful decor shop full of whimsy. The colour purple is the theme at Anchan Noodle. Dyed a pretty violet hue thanks to the peculiar butterfly pea flower, the rice noodles and drinks at Anchan make for a colourful spread. We tried both the dry and soup noodle options with tender chicken slices and particularly enjoyed the sweet and spicy chilli dipping sauce. A must-try that sells out quickly is the crispy pork, so be sure to grab a plate! Drinks here are very Instagrammable, due to the strata of different colours in each cup, but they veer towards the sugary side. The decor is basic, and the staff, although having very limited English, are friendly and helpful. A good spot for cheap eats before hitting the trendy shops on Nimman. This quirky little artists’ enclave is a photographer's dream. 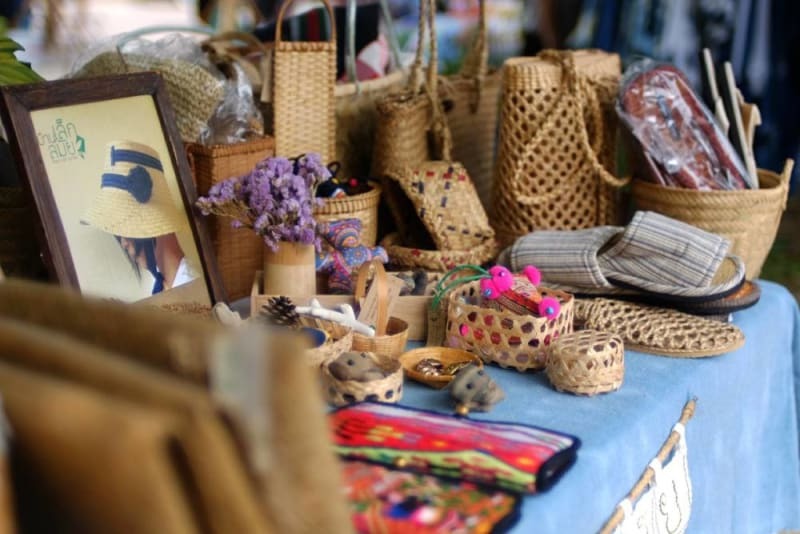 Lush, beautifully landscaped paths weave through rickety traditional Thai wooden bungalows filled with handmade artisanal crafts, ranging from dyed scarves and baby clothes to ceramics and jewellery. Meet local artists in their workshops and take a class to create your own memories of Chiang Mai. There are small cafés and restaurants tucked away along the lush pathways. Every corner is incredibly photogenic, which means you’ll be sharing the place with a thousand KOLs or wannabe “influencers”. It’s a very small place, so budget in just an hour or two if you plan to eat here. There is more to Akha Ama than just good coffee. The beloved coffee brand sprouted from a feel-good, home-grown story of social empowerment. Founded in 2010 by Lee Ayu, who grew up in one of the most remote ethnic Akha tribes of Northern Thailand, he searched desperately for a way for his impoverished villagers to send their children to school. The answer came when he mobilised the villagers to produce world-class coffee that revolutionised the reputation of Thai coffee. Today, Akha Ama Coffee has transformed this village into one of the most highly educated in the area, changing the lives of countless families. 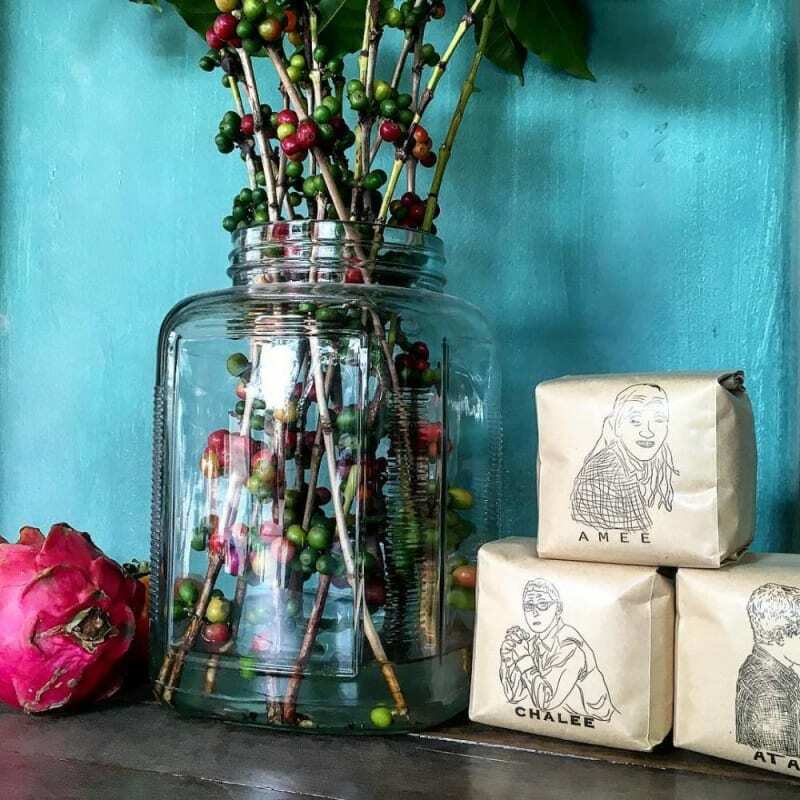 A chance meeting with James Beard Award winner Andy Ricker and Stumptown Coffee founder Duane Sorenson further helped to develop Ayu’s understanding of coffee. Doing good while drinking good coffee – now that’s an idea that’s easy to swallow. In 2004, Ajarn Saiyut started her humble restaurant in her own home to preserve royal Thai culinary traditions. Renowned for complicated cooking methods, rare ingredients and elaborate vegetable and fruit carvings, royal Thai cuisine is fading in modern times owing to its time-consuming methods and intricate techniques. The venerable Saiyut dedicated her life’s work to passing on these time-honoured traditions. Despite the restaurant having expanded to five pavilions on her property, Saiyut presides over the kitchen every night. Royal delicacies such as prawns wrapped in egg net, herbal chicken in wafer-thin pastry shells and flower-shaped dumplings topped with coconut cream are painstakingly crafted by hand, all served on local artisanal celadon ceramics. A true jewel of Chiang Mai cuisine. Let the plates be the stars at your next dinner party with handcrafted pottery from the San Kamphaeng artist district. Our favourites can be found at Prempracha. Chiang Mai is rich in religious history, and you’re never far from a temple. 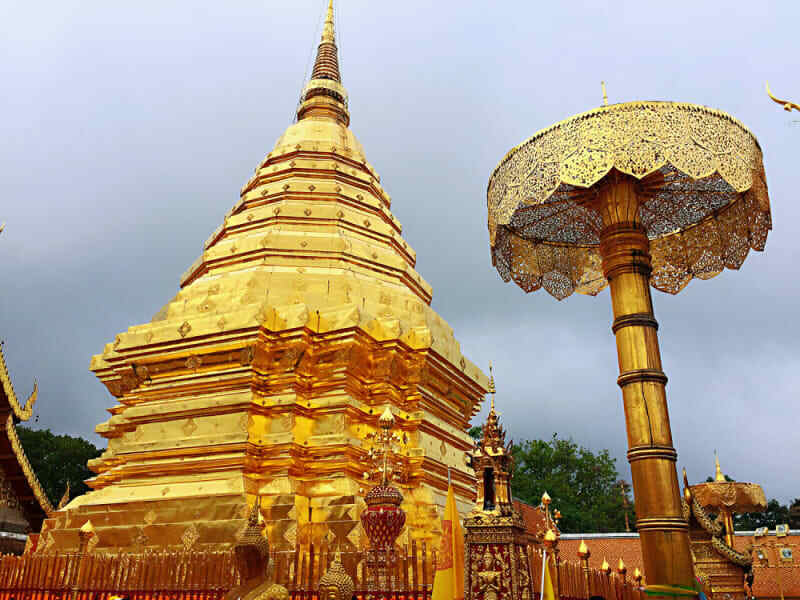 The most famous is the golden Wat Phra That Doi Suthep, although other temples, such as Wat Chedi Luang, Wat Phra Singh and Wat Umong, are also well worth a visit. Spa days are the best days! Unwind at the famous Fah Lanna Spa (we like the Old Town location) or luxuriate at the colonial Ping Nakara, our personal favourite. 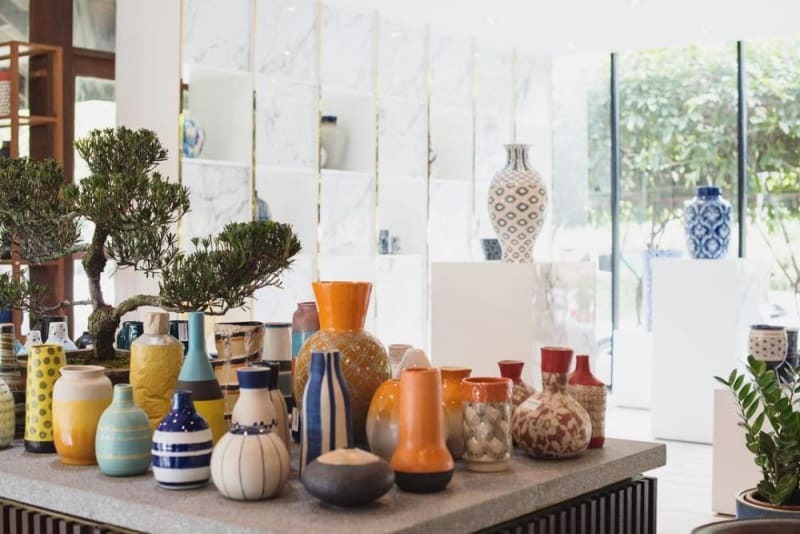 Shop the gorgeous boutiques on Nimman Road, full of unique pieces made by local artists. Our top pick is the super-trendy One Nimman open mall, where everything is on point. Check out Camellia & Co for the most fashionable woven bags and complete the look with a rainbow-hued selection of tassel accessories. If you want to experience life as a Disney character, look no further than Mae Rim Lagoon. Nicknamed “Mermaid Lagoon”, the scenery is almost ethereal. Grab a bite at Chom Cafe & Restaurant and pose for Insta-worthy shots.